Not sure who makes that argument besides the strawmen that make up the DNC voting rolls but what I do know is that the very laws Giffords and her ilk demand make it more difficult for that woman who fears for her life to be able to defend her life outside of relying on RO's and 911 which even Everytown has shown to be ineffective. What they're really trying to do is expand the definitions of 'prohibited persons' w/ vaguely written laws that can include just about anyone who's every jaywalked. 'Women' are just the current convenient talking point that they think they can get some traction with since obviously they are equal to men in every way but aren't capable of defending themselves w/o the help of the male dominated authorities and laws. The Arlington Heights Park District invites you to spend an evening in support of National Night Out. Come out to North School Park and learn about crime and drug prevention awareness! This event generates support and participation in local anti-crime efforts to strengthen neighborhood spirit and community relations. Apparently that means allowing Mom's Demand Action to have a booth there but not the ISRA or other pro-rights groups. We just got word that the Arlington Heights Park District will allow the BLOOMBERG MOMS to set up a recruitment booth at the National Night Out event. Supposedly the person to speak to is 'Laura;. Last week I posted a piece on the shooting of a 13 yr old in Chicago w/ a history of gang membership and drug dealing. On Thursday, the elder Walker was shot to death in a Humboldt Park gangway — just two days before his 13-year-old son was to be laid to rest. Dad was also a known gang member, drug dealer, etc. etc. And the leaders of Chicago? Chicago Mayor Rahm Emanuel’s administration is leaving a West Side police commander in his post despite an April recommendation by the city’s Independent Police Review Authority that his police powers be stripped. Evans has been the subject of several lawsuits alleging excessive force or other misconduct. Those suits have led to at least two settlement payouts by the city. ... less than 1 percent of misconduct allegations against Chicago Police officers were sustained by the department’s internal investigations, a far lower rate than the national average. 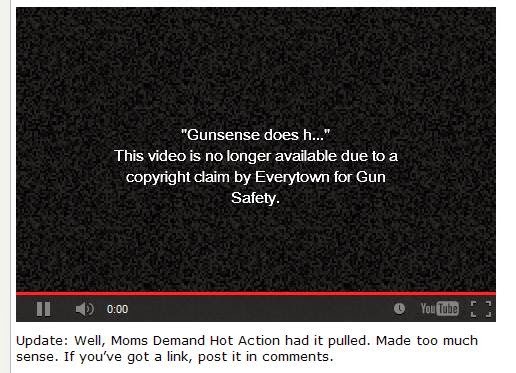 So by now many people know about the disaster of a video that the Everytown Mommies put up that even the View ridiculed. Unsurprisingly, parodies are popping up. Bloomberg/Watt's response? Censorship claiming 'copyright infringement' and trying to get them pulled. Here it is. Share it wide. I am not willing to gamble my life or the life of my loved ones betting on that I will get the “nice” kind of Home Invaders. You may trust in the 'good will' of someone violating the sanctity of your home. I choose to protect my family w/ every means at my disposal. A mixed group of Soviet troops defend a key building (and the woman inside) against Nazi forces. Russian movies are strange. I've seen several and this one is no different. Cultural differences leave several places where you go "Why did they do that?". Definitely helps if you have been in the military and/or know the history of the battle. No matter what though, it makes more sense than a French film. The dubbing is fair but half the movie is still subtitled so it's worth it to watch in the original Russian. The special effects are really good and action sequences are fantastic for a non-US blockbuster. 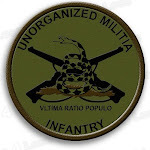 Technical accuracy of uniforms etc. were top notch. Walker’s aunt, Maribell Ruiz, says the teen would have been 14 next month. She described him as a studious teen and called his death senseless. And at the advanced age of 13, he already had 5 arrests, 3 of them for felonies. PCS, PCS with Intent, PCS/Manufacturing along with misdemeanors for Battery and Assault.....this kid was obviously a dope dealer and most likely the intended target along with one or more of his hooligan friends. On Friday night, police said Samuel Walker was a documented gang member, but his aunt and multiple people in the neighborhood told ABC7 that's not the case. So iow, the kid was slinging drugs on the corner and at the very least was associated w/ local gangs, some of which probably wanted that corner or didn't like the competition. The family is in denial over his behavior. This is the reality of most 'gun violence' yet if you look at the comments on places like the CSGV FB page, the big bad NRA are 'terrorists' and are 'killing children'.